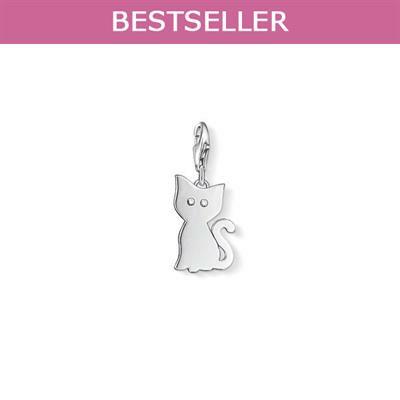 This Sterling Silver Charm from the Thomas Sabo Charm Club is crafted into the silhouette of a Cat with two sparkling cubic zirconia detailing for the eyes. This cute design is ideal for any animal lover. This charm has a lobster clasp which will fit any Thomas Sabo Charm Club bracelet, necklace or watch and comes beautifully packaged in a Thomas Sabo presentation box.